Saturday Social – Festive Edition! If you have stayed loyal to the BlackBerry brand throughout what many might call its worst year ever, then you are due some good news. And here it is; BlackBerry has partnered with Foxconn and is predicted to release a new smartphone as early as March or April next year. It will be a 3G Foxconn handset with BlackBerry branding, based on the BlackBerry 10 operating system. The new device will launch in Asia ahead of global rollout. Steadfast BlackBerry users may be excited by the news that the brand is evolving and taking on new partners, but whether this will take in the wider smartphone market remains to be seen. After all, this year saw BBM (the main USP for many BlackBerry fans) get its own iOS app. It will be interesting to see what else BlackBerry, with the support of Foxconn, will have to offer in 2014. Google Glass has easily been one of the most talked about tech products of the year, even though it is highly unlikely that many of us will be finding one under the tree on Christmas morning (Santa just doesn’t have that kind of budget). It has, however, taken one small step this week towards broad consumer appeal, with the launch of a Google Glass mobile app. MyGlass is available for Android and iOS – the iOS version dropped earlier this week, then was promptly pulled from the App Store. It is now available again, with all the kinks worked out. Google also introduced a new feature this week, enabling Glass users to take photos simply by winking. This new function is said to be faster than using the camera button or voice activation, and can be used even when the display is turned off. How Many Drones Would It Take To Replace Santa Claus? Stevens ultimately reaches the conclusion that a fleet of approximately 80 million military drones would be needed to achieve what a handful of enchanted reindeer have been doing for years. 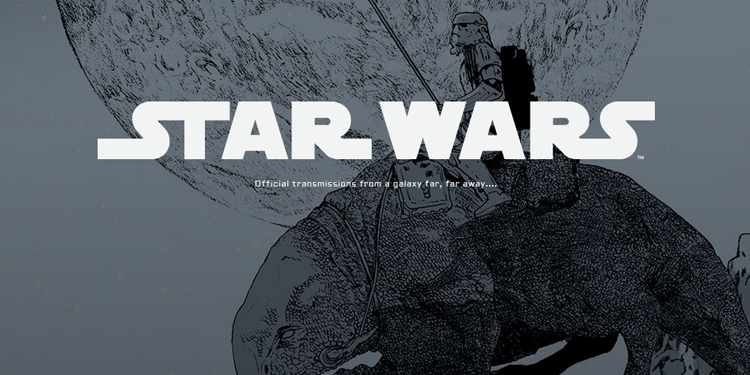 And finally, an early Christmas present for Star Wars fans everywhere; the franchise joined Tumblr this week, acquiring over 200,000 followers in a matter of days. While the account features minimal content right now, it has been promised that posts dedicated to the expanded Star Wars universe (comprising comics, cartoons and novels) will be forthcoming, in addition to a “character of the week” feature. The decision to establish a presence on Instagram now also means it is highly probable that this network will have a part to play in the inevitable marketing onslaught that will accompany Episode VII.